Jazz88 FM is Minneapolis Public Schools’ voice for education and jazz. Jazz88 FM live broadcasting from USA. 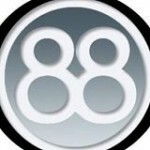 Jazz88 FM is a one of the most famous online radio station on USA. Jazz88 FM broadcast various kind of latest college, jazz etc.